Let’s your life chilling and be simply in weekend at Sunday walking street. 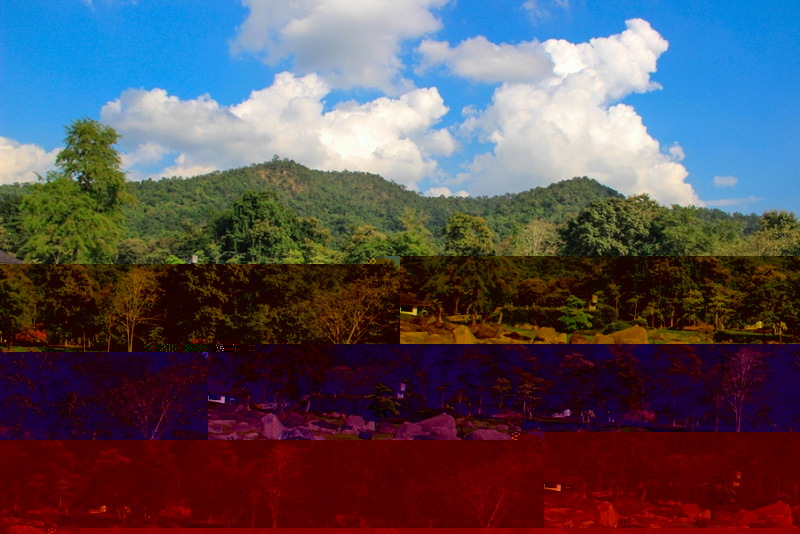 Have you ever know; Chiang Mai is one of the beautiful town which have a lot of the interesting walking streets? If you are here in Chiang Mai you will can see this town has provided the great walking street for you in almost of each week. 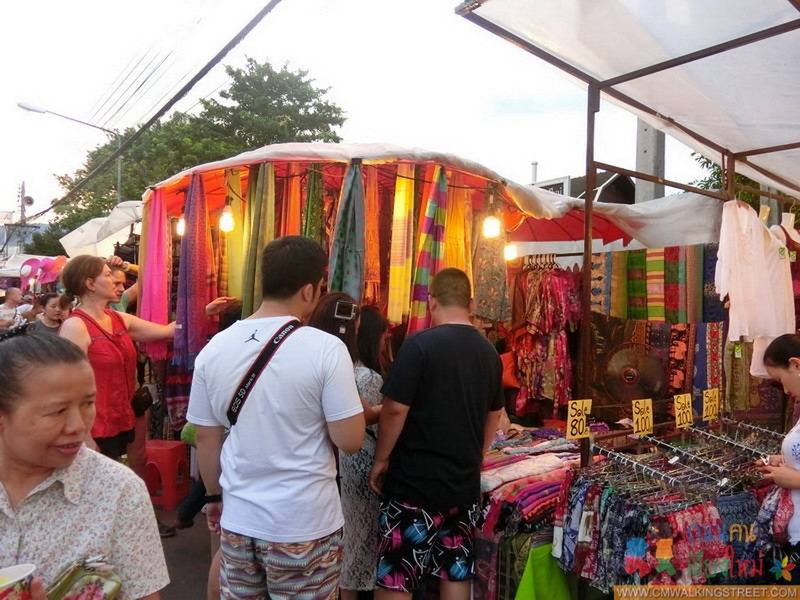 Therefore, I will let you know the popular one in Chiang Mai is Sunday walking street or the Ta Phae walking street. Why this Sunday walking street is so popular? When you reach to the Ta-Phae gate the first question is How do I start? Do not be worry with this question, you can start in both ways. The first way is simply start from Ta-Phae side, let set the starting point at the Ta-Phae multipurpose yard, opposite site of the imm hotel. Another way is start from the Phae Singh Temple, another option to enjoy with our great Sunday walking street. Not only the modern products like other walking street in Thailand, but also this Ta-Phae walking street around with many interesting local product cloths or bags (painted with the mountain and important tourism landscape in Chiang Mai), the native toys (which popular in Northern of Thailand history). The very interesting one for me is silverware, I ensure that you can find the great silverware in proper price in this Ta-Phae walking street. In my opinion based on my chance to visit almost province in Thailand, This Sunday walking street are the best place to find the silverware in the northern of Thailand. 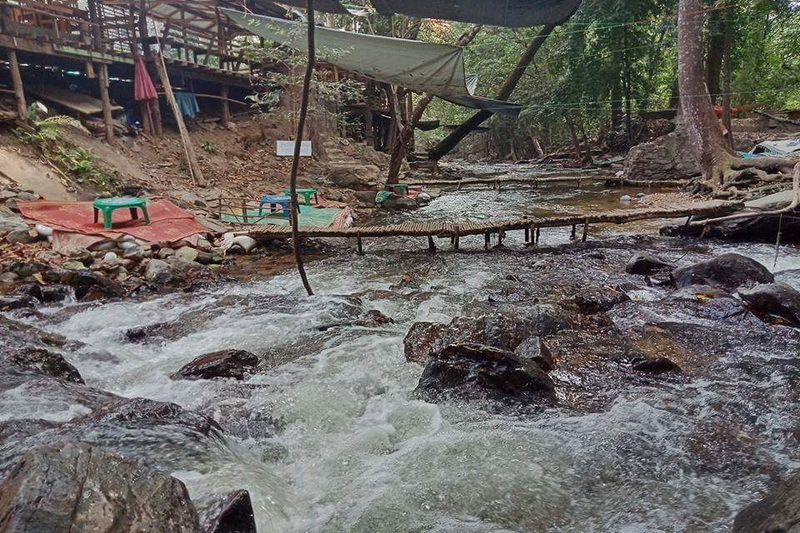 Moreover, the native food in our Ta-Phae waking street is quite delicious (included dessert and drinking) too. As my estimate, the average price of food and native product is cheaper than the Night Bar Zar. 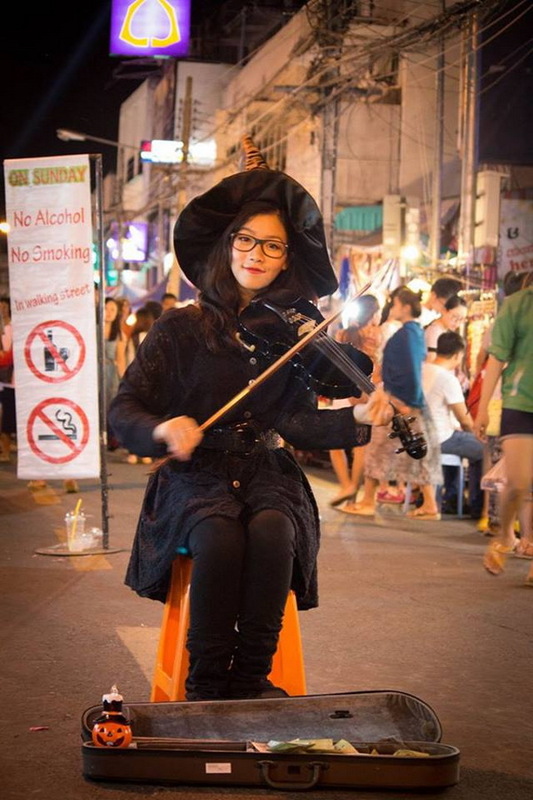 The interesting one which you have not ever see in the other walking street is then native entertainment in Ching Mai and moreover with popular in northern of Thailand. You can see the many Chiang Mai life from young to old com to show with the native entertainment alongside in this Ta-Phae walking street. The other interesting is open hat music and modern dance likes b-boy, hip-hop, and etc. which you can see along the Sunday walking street as same as the native entertainment. Next from chilling shopping and joyful with urban entertainment in this great Sunday walking street, you will see the message services (Head, Shoulder, Arm, and Foot) provided for tourist to take a little bit rest to relieve the stressful and a lot fatigue from our body. Do not be worry for the service free. The service fee is in proper price (I can ensure that price is not overaction). 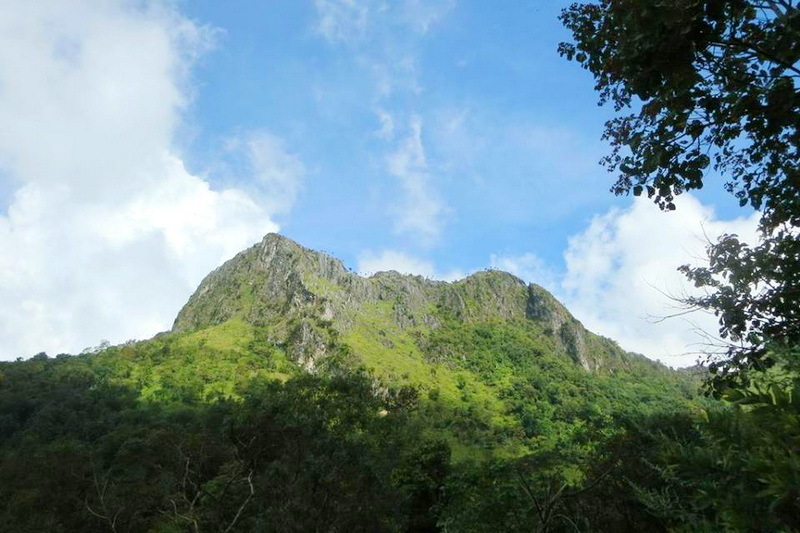 Service free starting from 50 Bath – 150 Bath for both Thai and foreign visitor. In my mention, this is cheaper than Bangkok. In my summary, Sunday Walking street or Ta-Phae walking street is around the road side from Tae-Phae city gate along to the Ratchadamnern road. Chiang Mai Sunday walking street ready to serve to serve the tourist and local customer on 05:00 a.m. till to the 10:00 p.m. only on Sunday. 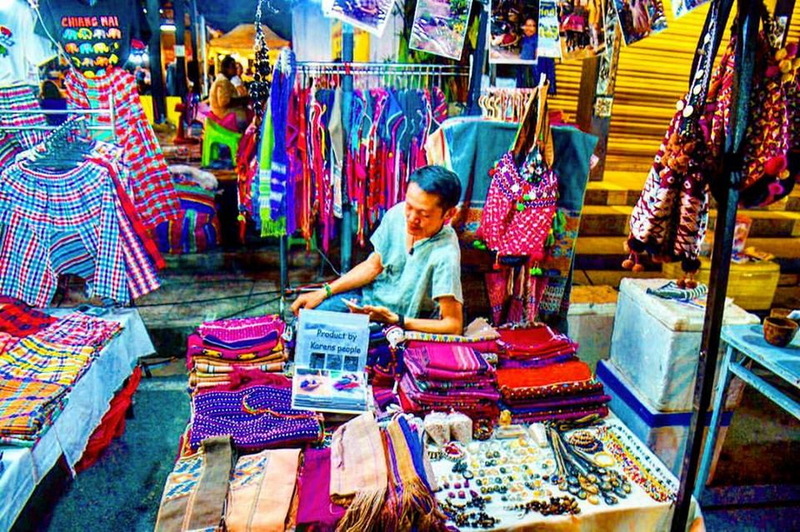 This famous Sunday walking street has a lot of product included both local, and modern types in friendly price for everyone to enjoy with shopping in chilling afternoon of the happiness day. 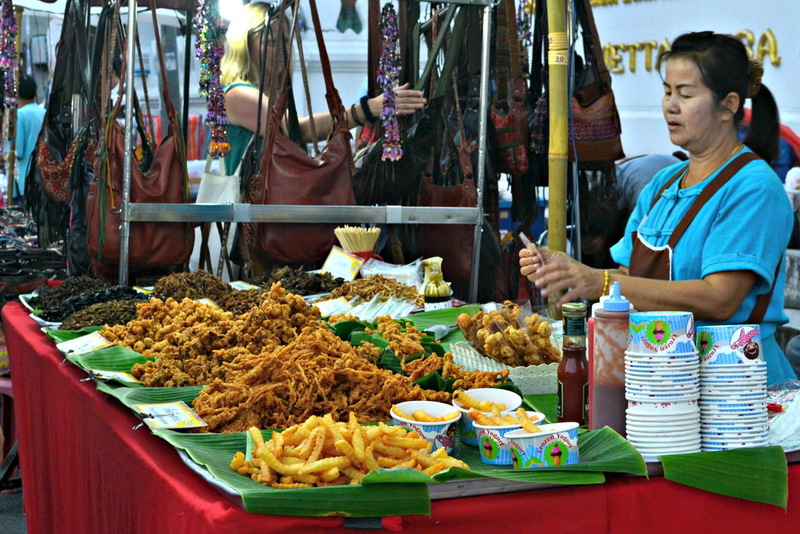 Not only the goods but also, the food in the Sunday walking street is quite delicious both local, and other simply food too. In my opinion, this Sunday walking street is the best walking street which I have ever been. 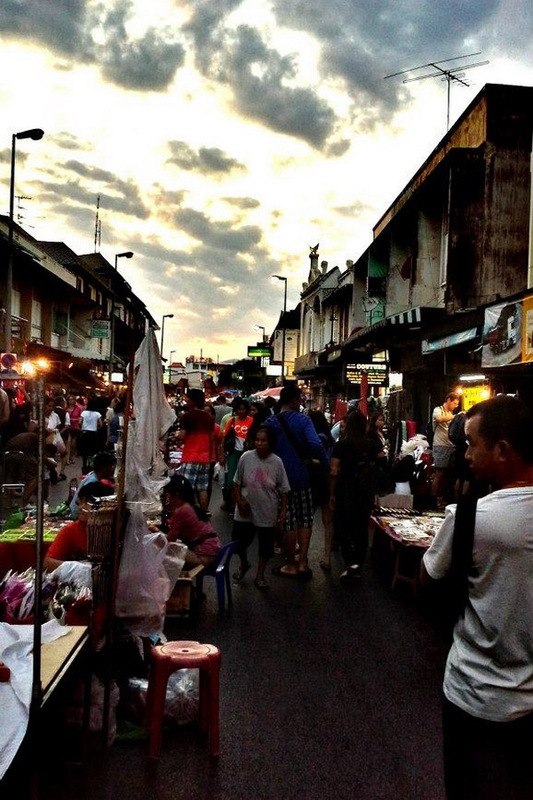 I really recommend you to visit the Ta-Phae walking street to enjoy with the urban life of Chiang Mai. 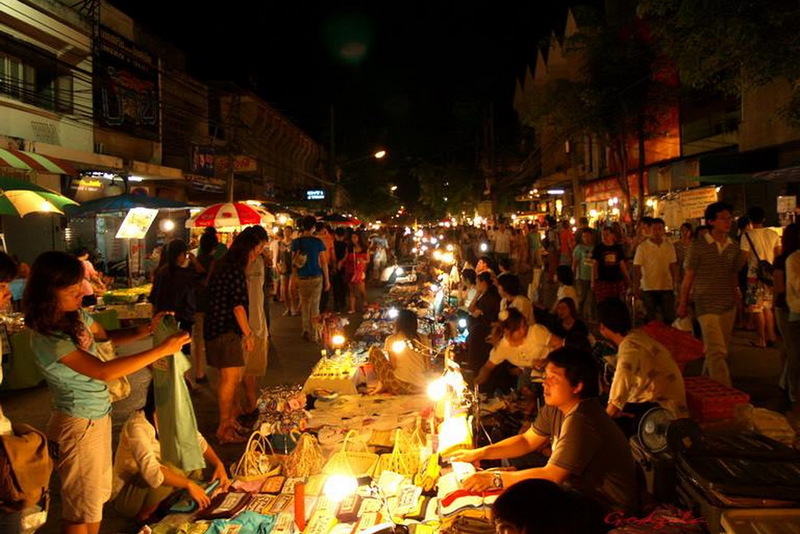 Sunday Walking street, one of the best place that you must to visit when reach to Ta-Phae Gate. How do we enjoy at the Sunday walking street? 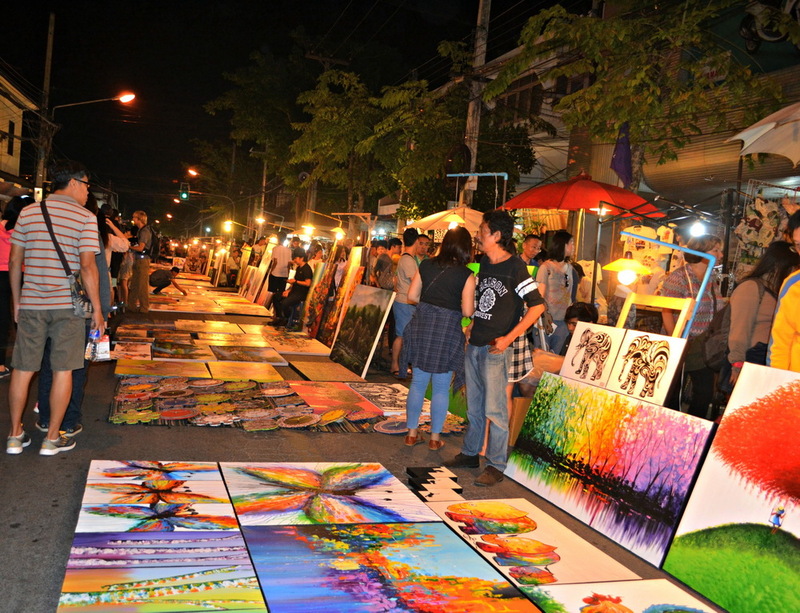 Tha Phae Sunday walking street is located around the road side between the Ta-Phae central gate along to the Ratchadamnern road. The recommendation to get to the Sunday walking street for the tourist, who not has private vehicle is get on the red minibus. 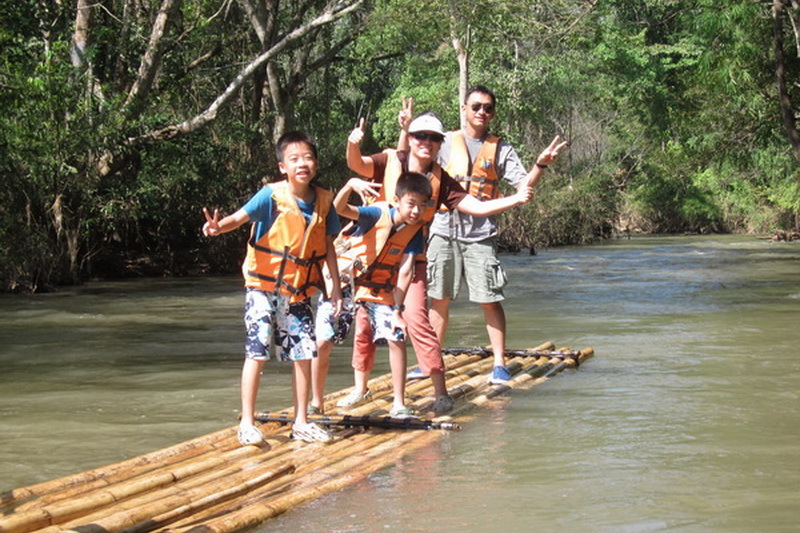 For the travel fee is 30 Bath per each for both Thai and Foreigner passenger. Go along with the red minibus to the Ta-Phae Gate then, you will re ach to the Sunday walking street in the end. Another choice for exercise ways is to walking or ridding with bicycle. Remind that, you must to check the rental rate of using bicycle carefully. The rental rate is not same at all. In my advice for bicycle rental is try to ask with the staff in your hotel, accommodation which you live, they might find the low price with good quality for you.